Amano is about sharing our passion for food with our guests. It's about humble service delivering rustic, Italian-inspired fare. It's about providing a space for you to feel relaxed and connected to your food and its origin. 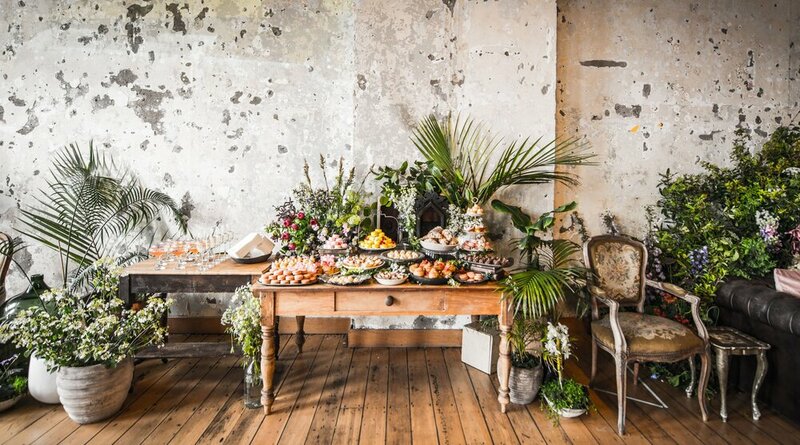 Situated opposite Auckland’s Waitemata Harbour and spanning Britomart’s historic Altrans and Quay buildings, our bakery, restaurant, are now playing their part in the rich history of this beautiful site. We are committed to providing the freshest pasta experience in New Zealand. To achieve this, we mill South Island grains through our on-site flour mill and combine that beautiful fresh flour with free-range eggs from Whangarei. Our pasta is hand-crafted daily and depending on the style of pasta, it’s either individually hand cut or fed through a pasta extruder. We celebrate sustainably-caught, local and seasonal seafood. Yes, seafood is also seasonal! By following spawning cycles it’s possible to fish in a more sustainable fashion, using best-practice methods. We offer wild-caught seafood which includes less popular species to ensure that all the fish in our waters are being utilised. Why shouldn't we experience all the fish in the sea? 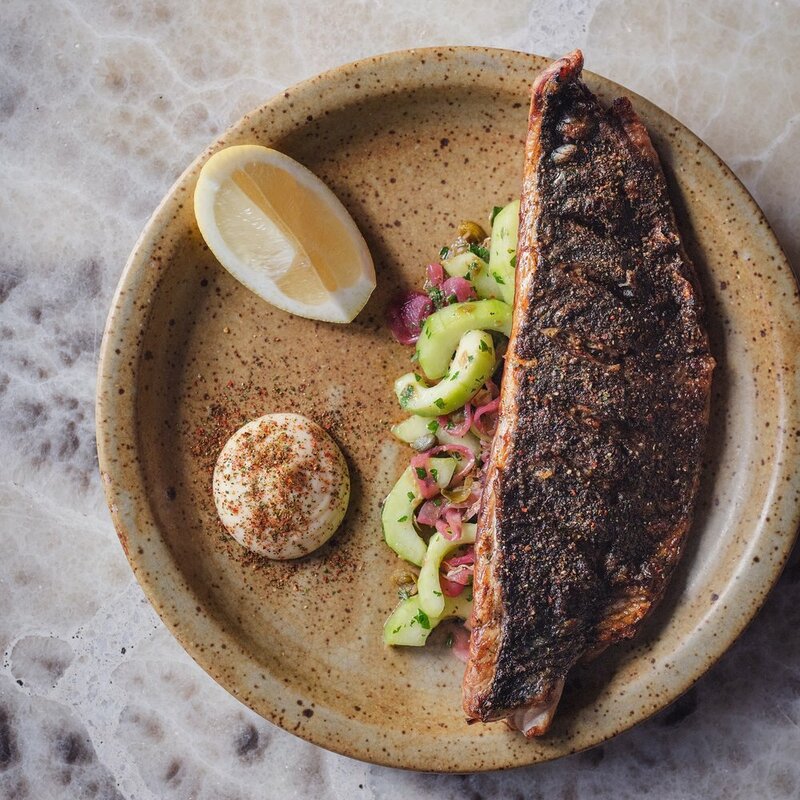 You’ll see seasonal species such as sardines, piper, mackerel and herring on the menu and on display in our raw bar. Additionally we have a selection of shell-fish and oysters, shucked to order. The story behind our meat begins with our farmers. We have developed trusting relationships with like-minded local growers with whom we share similar values and goals - which centre around honoring and respecting the animal through its journey from paddock to plate. We have Shorthorn Beef and Suffolk Lamb raised exclusively for us by Craig and Maree on their picturesque Katikati farm. Our world-class Wagyu is reared on Tim and Lucy’s 300 hectare Hawke’s Bay property. All of our chicken is certified organic and free-range from Ben Bostock in Hawke's Bay. And then there’s our super free-range pigs, which roam over 80 hectares of land on Wayne and Amanda’s Houhora property. We only work with whole bodies and use everything from nose to tail. There are unconventional cuts and lesser-known methods, and what ends up on your plate is a product that has been nurtured and respected from beginning to end. Authentic, artisanal baking - the way it’s supposed to be. Amano Bakery celebrates the best of baking traditions from throughout the world and showcases these cultures throughout the day using an evolving menu. Enjoy our French Viennoiserie range every morning - including croissants and cravats. Lunch offerings include the Italian tradition of pizzas by the slice, hot out of the oven - fresh, seasonal ingredients combine harmoniously with our long fermented dough. Amano Bakery respects the same food philosophy that permeates through all of our Hipgroup cafes and restaurants. Our emphasis is on sustainable, locally-sourced food. Our passionate, boundary-pushing bread makers challenge and inspire one another to produce the highest-quality product, using the highest-quality ingredients. Each loaf is hand crafted. Hence, Amano - Inspired by the Italian phrase "by hand". We want to pay homage to primordial techniques, and invite you to join us on our food journey. 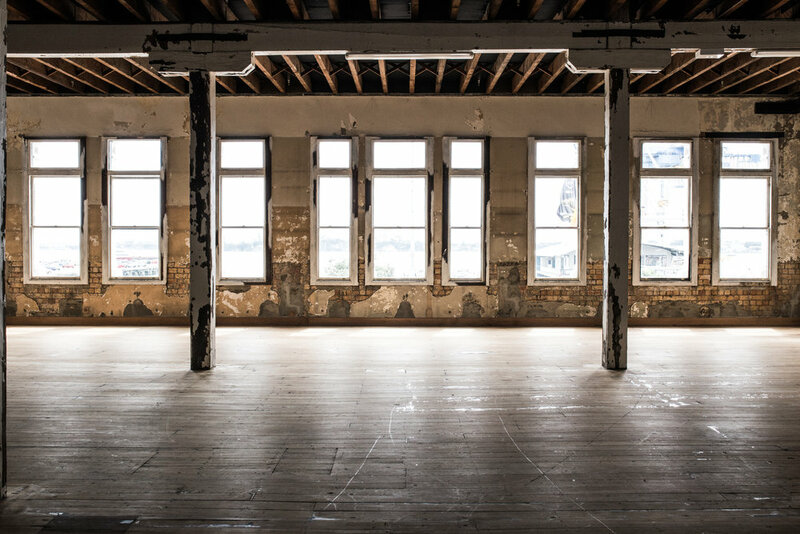 From its elevated position in one of Britomart’s heritage-listed buildings, our function space offers beautiful panoramic views of the Waitemata Harbour. High ceilings and exposed beams create a cool, raw function space that is perfect for art shows, product launches, cocktail evenings and photoshoots. Located in the heart of Auckland’s CBD, this unique space is ideally located for after-work drinks and cocktails. The Amano function space is a blank canvas that with a little imagination can be transformed into an area that will offer an event to remember. ENQUIRE about your event NOW! "Auckland bakery Amano in Britomart mills its own flour for better bread"
"Britomart’s newest vendor is a modern spin on a classic bakery." "KATHERINE LOWE TAKES US INSIDE THIS BRITOMART BAKERY"
"A new Italian-inspired bistro and aperitivo bar is set to open in Britomart"
"their ever-changing menu provides the perfect excuse for repeat visits"
"Flour-power the new big fresh"
"Tomorrow's Brunch – Amano, Auckland"
"No doubt there’ll be a line around the block to gain access to Hipgroup’s stellar new eatery"
"It’s Here: The New Italian Restaurant You’ve All Been Waiting For"